Short Business Description: Established in 1975, Weldflow Metal Products is one of the leading and most trusted manufacturers of precision metal products. We have a committed team of experts who offer custom solutions to meet your needs and attain top level client satisfaction. We have become a trusted name and world leader in the field of contract manufacturing. Our focus has always been on providing quality and effective products to our valuable clients. In our effort to satisfy the expectations of our clients, we are engaged in the manufacturing of a wide variety of precision metal products. With more than 40 years of global experience in the field of manufacturing and supply chain management, we have made continuous development. We offer a wide range of products including metal fixtures & enclosures, HVAC, appliance covers, part assemblies and much more. 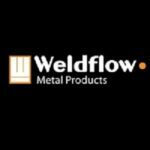 Weldflow prides ourselves in manufacturing precision allied complete sheet metal fabrication. Our team of committed professionals and experts combine technology, engineering expertise, innovation and a highly principled business approach to help our partners and customers. If you have any questions about our services, feel free to contact us any time by email- info@weldflowmetal.com or call us at (905) 277-0006.